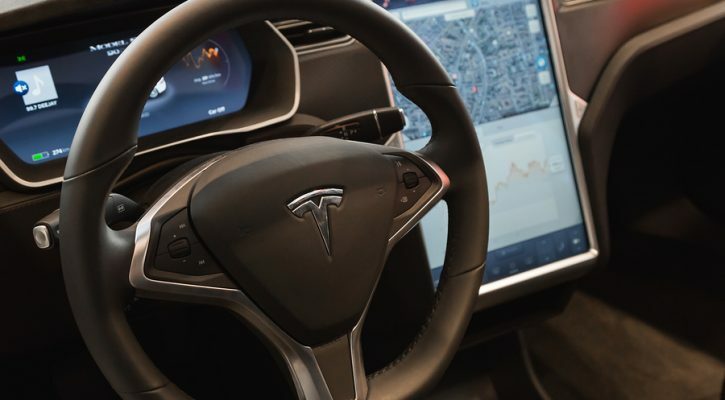 In the first crash of its kind, a Tesla automobile with its “Autopilot” engaged was involved in a crash that killed its owner. According to Tesla, “this is the first known fatality in just over 130 million miles where Autopilot was activated.” While there are a lot of lessons to be taken from this crash, the first lesson to know and understand is that, in spite of the name, the Autopilot system does not make the Tesla an autonomous, self-driving car. While the news about the crash was just released last week, the crash actually happened on May 7, 2016. The Tesla was nearing an intersection as a tractor-trailer was making a left turn. The Tesla failed to stop and drove under the trailer with the windshield impacting the bottom part of the trailer. Tesla engineers feel that the Autopilot’s brakes failed to engage because the camera failed to distinguish between the bright sky and the large white side of the trailer. Adding to the problem, the trailer’s height may have fooled the camera into believing the road was clear ahead. The Tesla camera’s inability to distinguish white paint from a clear blue sky poses a major problem. The camera is a black and white camera that can only distinguish between black, white, and various shades of gray. It has been suggested that, if the system had used Lidar (laser based radar) instead, the colors wouldn’t have mattered. Tesla’s Autopilot system is actually a “driver-assist” system that includes, among other things, an active cruise control that maintains the posted speed limit and automatically applies the brakes when it gets too close to a vehicle ahead. The cruise control uses data from on-board cameras and road maps to maintain position and speed. There’s also a lane departure system that automatically keeps the car within its lane as long as the cameras can detect lane marking lines. The vehicle also has the ability to automatically parallel park. Even when working together, these systems don’t make the vehicle truly autonomous or self-driving. 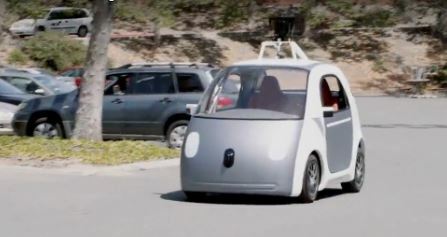 In fact, the vehicle is set to manual driving by default and, when the Autopilot system is engaged, the driver has to acknowledge a message that says the Autopilot is an assist program and drivers must keep their hands on the wheel at all times. There is evidence that the driver of this vehicle hadn’t been paying attention to the road and may, instead, have been watching a movie. If he had been paying attention and kept his hands on the wheel, he should have been able to stop the car in plenty of time to avoid the collision. The name “Autopilot” may have fooled a lot of drivers and there are many examples on Youtube of Tesla drivers treating the Autopilot system as if it were a self-driving system. One Youtube video shows a Tesla driver asleep at the wheel in stop-and-go traffic. Several vehicle manufacturers such BMW, Mercedes, and GM offer similar driver-assist features as an option in their higher end vehicles but it’s going to be a very long time before the systems are improved and tested enough to be considered fully autonomous. For now, these systems provide added safety but they still aren’t equal to the best safety feature of all; a driver who’s paying attention to the road ahead. 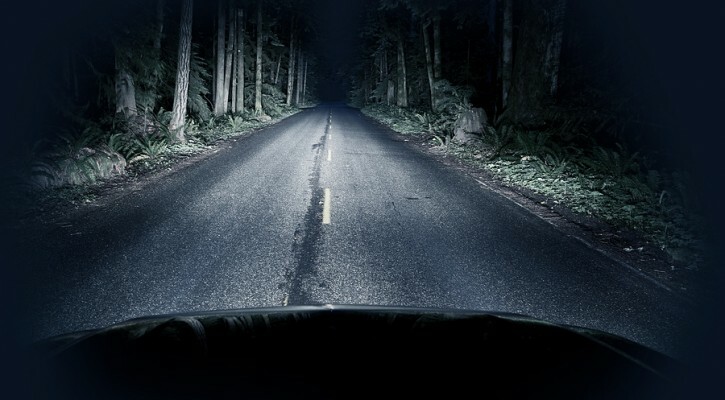 If you feel you can’t see as well while driving at night, it may not be your vision but your car’s headlights. For the first time, along with their normal crash tests, the Insurance Institute for Highway Safety (IIHS), tested headlights on the new 2016 model cars. The results were not good. When driving in the dark, if you encounter a hazard on the road, you need to be able to stop within the area illuminated by your headlights. If you’re traveling at 50 mph, that means your headlights need to illuminate more than 175 feet ahead of you if you’re going to be able to stop in time to avoid a crash with the hazard ahead. At 60 mph, you’ll need light up at least 260 feet ahead. If your headlights only illuminate 100 feet ahead, you’ll need to slow down to less than 40 mph in order to avoid a crash with an unseen object ahead. To test the headlights, the IIHS conducted tests on their test track using a special device to measure the lights on both low and high beams. The tests were conducted under five different approach scenarios: traveling straight, a sharp left curve, a sharp right curve, a gradual left curve and a gradual right curve. The device also measured the glare of the low beam headlights to make sure they didn’t blind oncoming drivers. The headlights were tested as they were delivered from the vehicle manufacturer and were not adjusted in any way. Headlights were measured against an ideal beam and points were subtracted to determine the rating. More weight was given to low beam headlights because they’re used most often. More weight was also given to measurements on straightaways because more collisions happen on straight roads than on curved. The IIHS rated every combination of headlights as they come from the dealer so, although there were only 31 vehicles, there were a total of 82 headlight ratings. As it does with all of its tests, the IIHS assigned four ratings: good, acceptable, marginal and poor. Only one vehicle received a “good” rating, the Toyota Prius V when equipped with LED lights and high-beam assist. Eleven vehicles received acceptable ratings, nine received marginal ratings, and ten were given a poor rating. Among the poor ratings, the BMW 3 series were deemed the worse. When driving in the dark, BMW 3 drivers can’t travel any faster than 35 mph if they want to stop within the area illuminated by the headlights. Keyless ignitions can be a convenience for drivers but, in some cases, they’re proving to be deadly and vehicle owners and safety organizations are pressuring the federal government to address the issue. With keyless ignitions or “smart keys,” drivers don’t have to take the key fob out of their pocket or purse to start the vehicle; as long as the smart key is in the vehicle, the driver can push the start button and start the car. The problem comes when shutting off the vehicle. Some drivers have been unable to shut off the vehicle in on-road emergency situations. Some drivers inadvertently shut off the engine without first putting the transmission in “park” allowing the vehicle to roll away. Some drivers placed their vehicle in park but inadvertently left the engine running. When a vehicle is left running inside a garage, poisonous carbon monoxide can quickly build up and spread throughout the home. At least 18 people have died from carbon monoxide poisoning under these circumstances. How do you not know the engine is still running? For those who wonder how can someone not notice that the engine is still running, hybrid vehicles such as the Toyota Prius are silent when running on battery power alone. When a vehicle is left running in a garage, the gasoline motor will turn on periodically to recharge the battery. This cycle will continue (while pumping out poisonous carbon monoxide gas) until the vehicle runs out of gas. NHTSA has proposed adding an audible alarm to remind drivers that the vehicle is still running when the doors are opened. This fix may work for some but, for the deaf or hard of hearing driver, the alarm will be useless. Consumer and safety organizations are pushing for regulations that will require the manufacturers to add a feature to shut off the engine if the vehicle has been idling for more than a half hour. According to experts, this fix will only require a computer update that can be accomplished quickly and at very little cost. What should the owner do? While manufacturers and the federal government sort out who is responsible and what sort of fix should be necessary, owners of vehicles with keyless ignitions should be aware of the hazards and remember to place the vehicle in park and shut off the vehicle using the off button. If necessary, some sort of visual reminder such as a post-it note on the dash might be helpful. Owners of keyless ignitions should also consider installing one or more carbon monoxide detectors in their homes. If you’re looking for Christmas gift for someone who’s hard to buy for, you may want to consider a gift that’ll contribute to their safety on the road. It’s a gift that says “I love and care about you” and it’s practical at the same time. 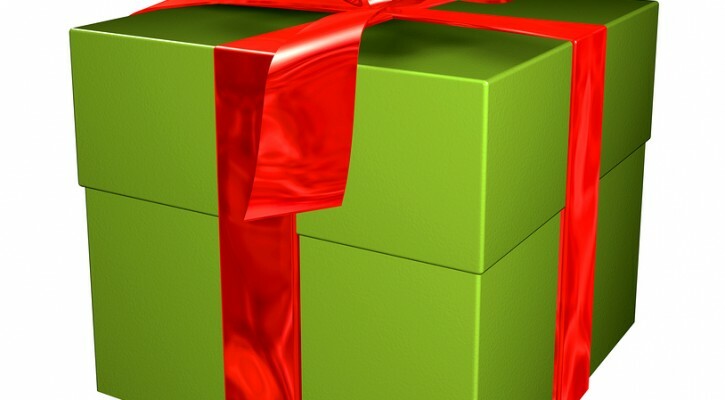 Here are some gifts you might want to consider, especially for those who have small children. If you know someone who’s expecting or whose child may be outgrowing their car seat, this can be an excellent gift. Remember that child seats have an expiration date and parents should avoid getting a used car seat for their child. Exposure to the sun and heat in a car over time can cause the synthetic fabrics used in the belts to wear down and become weak. For newborns, get a rear-facing car seat. Convertible seats can be used as rear-facing seats for newborns and can then be shifted to face forward for toddlers. Children are often graduated to seat belts way too early and that’s dangerous for them. For toddlers who’ve outgrown their car seat, get a booster seat that will allow the child’s seat belt and shoulder harness to fit properly. Kids should stay in booster seats until they’re at least 4’9” tall. Everyone needs a new set of tires now and then. If you’re wondering whether or not it’s time to get a new set of tires, do the Abe Lincoln test. Take a penny and with Abe Lincoln’s head showing, stick it head-first between the treads. If you can see the top of Abe’s head, the tires are worn too low and need to be replaced. A couple of interesting studies have been published recently that show that the adoption of autonomous vehicles (AVs) and Advanced Driver Assistance Systems will not only save time and money but will, most importantly, save lives. Miles could be cut and auto emissions reduced by as much as 60 percent by the use of automated fleets. AV users will save as much as 50 minutes per day to use in other pursuits. Auto insurers will shift from insuring drivers to insuring the technology, allowing individual drivers to save billions in insurance costs annually. To quickly capture market share in the AV field, manufacturers will focus first on providing accessible mobility that will free disabled users from their dependence on public paratransit providers. With the AV ability to drop the user off at the door and then fit into a much tighter parking space, the need for parking spaces will be reduced by more than 5.7 billion square meters. E-hailing taxi services and peer-to-peer rentals will reduce the need for large numbers of vehicles freeing up roadways, and parking lots along with improving traffic flow and reducing pollution. Most important of all, the researchers predict that the vehicle crash rate will be reduced by as much as 90 percent. That means that of the 32,719 fatalities and 2,313,000 injuries in 2013, 29,447 lives could have been saved and 2,081,700 fewer people would have been injured. However, we don’t have to wait for fully autonomous vehicles to start saving lives on the road. Another study conducted by the Boston Consulting Group showed that 10,000 lives per year could be saved through use of advanced driver assistance systems (ADAS) that are currently on the market. The problem is that few potential buyers are willing to spend the extra amount or don’t understand how the systems work enough to realize their potential value. However, consumers could quickly recover the extra costs based on the amount they save in insurance costs. The increased introduction of ADAS and AVs depend both on the development of new technologies by manufacturers and the willingness of consumers to buy those technologies. Once that starts happening, Americans will start to save more time, money, and, most important of all, lives.